The last few weeks were very hectic for me at work and I was anyways taking some time off of everything related to blogging. But, no more! I will definitely try to write regularly from now on! Today is the day for a product review and this is my go to hair product at the moment. BBlunt High Definition Curl leave in cream, is both perfect and hassle free to use , for my wavy hair! The leave in cream has to be applied on damp hair from root to tip. If you have naturally curly or wavy hair, then you can go ahead and dry your hair after applying this. Use a big dollop of the product for defined curls and dry your hair naturally. I usually use this when I want to achieve defined soft curls. This is also great for curly hair for controlling frizz. I sometimes use this as a heat protectant as well, but in that case I use a pea sized amount. Product – This is a white mousse sort of leave in cream. Smells really fresh and floral and the fragrance stays on as long as the product is there on your hair, but fades away slowly. Packaging – I really like the pump packaging. This way I don’t have to squeeze the bottle and what not! Just pump to get the right quantity of product out. The bottle is a sturdy plastic bottle and the color is a welcoming change, in case of packaging of beauty products. I really like that the curls hold even after two days, not very defined but you can make out the difference from your normal hair and this. The only complaint that I have in this case is that it makes my hair look slightly dry at times, not always. It really easy to use as well, most of the times I just apply this on my damp hair and let it be and voila!, get lovely wavy hair! The fragrance is a little strong, could have been better if it was a little subtle, more like the Spotlight Shine spray from BBlunt. I have no complaints as such from this product because it delivers what it claims to! I would recommend this for people with curly or wavy hair like me because it give your effortless curls! Have you used this? Or any other product from BBlunt? Let me know in the comments below! Also, don’t forget to check out my Snapchat stories; I do all sorts of crazy there! Even I am playing around with BBlunt products. I am waiting a bit more to see how they work for my dry hair. 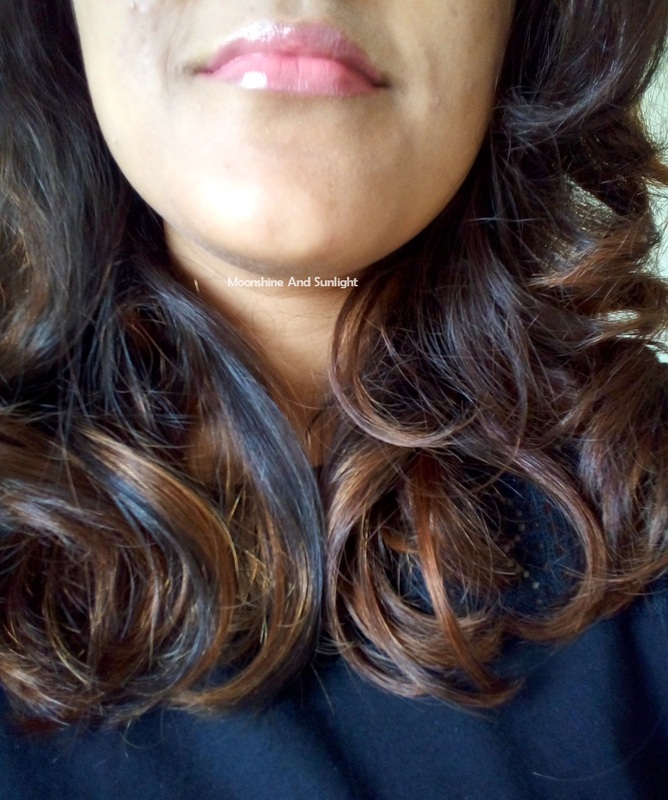 I have wavy hair and I would love to use this to create soft curls.I loved the way your curls turned out to be.The pump packaging looks so convenient.Great review dear. Oh you'll Love the results on Wavy hair !